My day job is all about information security on an enterprise level: I am working as a software security architect in the Hewlett-Packard CTO on secure cloud solutions for HP’s printing and personal systems products. In this blog, I will occasionally share useful bits of information on secure enterprise (cloud) application architecture and design. Dr. Mike Beiter is a Distinguished Technologist / Security Strategist at Hewlett-Packard. He creates security strategies for HP, delivers various PaaS products that power HP’s customer facing cloud SaaS offerings in his function as senior software architect, and also serves as the Chief Security Officer for HP’s Common Cloud Platform. Mike obtained his PhD in Discrete Mathematics from the University of Tübingen. 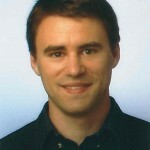 Prior to joining HP, he worked at the University of Tübingen, focusing on research in the field of secret sharing and new applications for secret sharing schemes.